About the author: Laura Ziesel is a seminary student at Azusa Pacific University and a freelance writer and editor living in southern California with her husband. She blogs on matters of faith, gender, church culture and more at LauraZiesel.com. She is also a contributing writer for The Redemptive Pursuit, a weekly devotional for women. She and her husband attend Glenkirk Church in Glendora. You can find her on Twitter @lziesel. This year my husband and I embarked on a new adventure: trying to create new life. We are pursuing parenthood because we believe that children are blessings, gifts from God worth every hardship. But to be realistic, a lot of negative baggage comes with this journey toward parenthood, some of which is heartbreaking and some of which is just annoying. As I'm not currently pregnant, I tend to focus on the hardships of trying to get pregnant. But I know that becoming pregnant and carrying a baby to term will only be the beginning of a new set of challenges. Among all of the changes that might come into my life once I do become pregnant, do you know which one stresses me out an inordinate amount? Suddenly attracting a lot of attention in public. You see, I'm an introvert. I'm an INTJ to be exact. Being an INTJ, I dislike attention, sentimentality, and unnecessary drama. I remember feeling very frustrated as a bride because I became the center of sentimental drama. But bridal attention was only paid by the people who knew I was a bride. Being a pregnant woman, new mom with a cute baby, or less-than-new mom with four kids in tow? All of these things bring loads of attention, even from strangers. I'm easy to miss in public and I like it that way. My hair has never been dyed and my clothes are from Old Navy. When I go to the grocery store or to church, I don't want to stand out. The relative solitude I have in public spaces brings me a lot of joy. Once I become noticeably pregnant, I fear I will lose the solitude I am able to experience in public places for a long, long time. I'm the first to admit that I am more likely to look at a pregnant woman (and her belly) than the average person I pass in town. I can't help it sometimes. Pregnant women are quite beautiful. But once I become that pregnant woman, I know I am going to hate the extra eyes, hands, and unsolicited advice directed at me and my belly. And it won't get better once I give birth; I've heard that walking around town with a baby is just as bad, if not worse. Lord have mercy on my introverted soul! In all seriousness, I am a bit overwhelmed thinking about this aspect of my future. I could blame the very existence of the problem on well-meaning strangers and acquaintances, but I think that would be unfair. Most people are simply excited and want to connect on a basic human level. I don't think that's inherently bad. Sure, people could be more thoughtful with their words toward mothers, but I can't do much to change that. What I can change is my attitude. Just before I was married I shared a bedroom with a major extravert, an ESFJ. She and I are friendly now, but at the time we had some serious conflict. Not only did we live in the same bedroom, but we worked together. It was a recipe for disaster. I was completely overwhelmed and did not know how to love her well. I pretty much failed entirely at it. One day I was meeting with my mentor, a fellow INTJ who is a wife, a mother, and a grandmother. I was talking about how difficult it was to love my roommate and my mentor said, "You know what? One day your children might be extraverts who drive you crazy, so you should probably learn to deal with this in a better way." My world exploded a little bit at that moment. I realized that as much as I dream about children who are either like me or my husband (he is extraverted, but he is introvert-safe), I have no control over their little personalities. I can shape them, but I must love and accept them even if they aren't exactly who I have in mind, even if they are the exact opposite of who I have in mind. 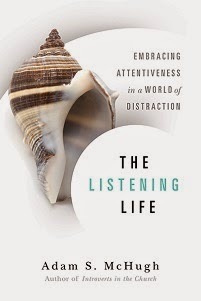 So perhaps I should view this loss of peace and quiet in public as a training ground for motherhood. Perhaps I can view the annoying, repetitive questions of "How far along are you?" 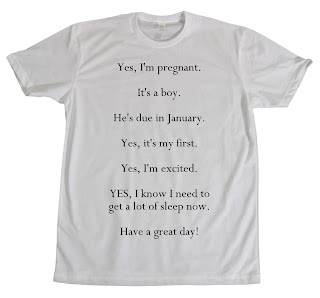 or "Boy or girl?" as a practice-run for the even more repetitive verbal barrages I will receive in the future: "No, Mom! "; "But why Mom? "; "Mom, I promise (yawn) I'm not tired." And perhaps the strange hands that suddenly touch my growing belly in public are training me to give me body away freely to the little hands of needy babes. I know it won't be easy to be patient and kind toward strangers who rob me of my precious solitude in public, but neither will being a mother. While having snarky t-shirts might help in the short-term, learning to be loving and kind when I am tired and irritated is a better long-term solution. 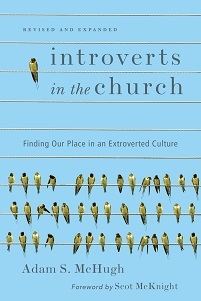 If you want to read more about introverts, their quirks, and their relationships, check out Adam's book, Introverts in the Church.